Whilst we take a moment to figure out our online shop you can order our products direct from us, just get in touch with what you'd like and we'll post it straight to you. We know that some of you aren't quiet sure what you want. If so we are more than happy to have a chat and help you find the perfect product for you. Worsted Yarns spun: £15 per 100g. Felting and Craft Packs: Price on request. 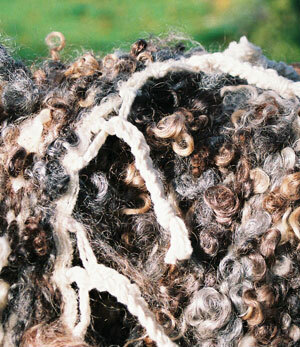 Locks For Felting, Spinning, All 4 Natural Colours: £6 PER 100 g.
Washed Fleece: £40 per Kilo. Items to Order; Woven Rugs, Felted Pieces, Sheep Skins, Handkits. Price on request. PLEASE NOTE WE ADD £2.50 HANDLING CHARGE FOR MAIL ORDER, PLUS THE ACTUAL POSTAGE. If there is something you would like that you can't see listed please contact us for more information. 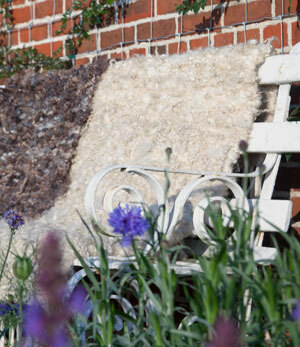 All our worsted yarns are spun locally at Diamond Fibre Spinning Mill, Horam, East Sussex.